Can you remember when your were a kid, and you played or did something just because you loved it? There was no specific reason for undertaking the task, you simply found pleasure and the utmost enjoyment in doing it. Today we can find the same enjoyment through simple activities like listening to music, doing dishes, chatting with a friend, cooking a meal…. whilst looking forward to them equally. Having this kind of personality is what Mihaly Csikszentmihalyi tackled in his book, ‘Flow: The Psychology of Optimal Experience’, as the Autotelic Personality. According to Csikszentmihalyi, the term “autotelic” is acquired from two Greek words, auto, meaning self, and telos meaning goal. Being Autotelic means having a self-contained activity, one that is done not with the expectation of some future benefit, but simply to experience it is the main goal. Nobody is fully autotelic since we all have to do things that we don’t enjoy, it is either out of a sense of duty or necessity. But there is always a progression from individuals who almost never feel that what they do is worth doing, to others who feel that most of the things they are doing are fun and valuable. It is to the latter individual that the term autotelic personality applies. People with this personality are capable of achieving the “flow state experience” more than the average person. As one of the 9 Behaviors of Flow, being autotelic is one good gateway to achieving optimum performance in your sport or work. Think back to a time when you were doing something you loved and really immersed yourself in the project, you probably lost a sense of time and felt challenged, yet adept at handling whatever you faced. This state is called flow and the making of an autotelic experience. The more of these occurrences you have, the greater enjoyment you can get out of life. - Persistent: A person with Autotelic Personality remains on course in spite of difficulty or conflict. - Curious: A person with Autotelic Personality has a limitless desire to learn and discover. - Low Self-centered: A person with Autotelic Personality, just like being in the Flow State, the sense of self is being lost. - Open to Experience: People with Autotelic Personality expand their possibilities, learn from others, adapt to new situations, and adopt new ideas. - Action-Orientation: This time, the colloquial term, “Go with the Flow” does not apply. People with Autotelic Personality play with the edge of their abilities. - Positive: A person with Autotelic Personality has a high hope for success and low fear of failure. - Internal Locus of Control: Compared to External Locus of Control, which is the belief that results are commanded by powerful others, environmental influences, or chance, Individual who adopt in Internal Locus of Control believe that the outcomes and events are in their control. - Internal Drive: People with Autotelic Personality have a high rate of performing acts for essential reasons. They are less influenced by money, prestige, and other extrinsic factors. - Loves Challenge: People with Autotelic Personality have a higher likelihood of participating in hobbies and taking on challenges. - Willing to Learn: Enhancing one’s skills is inevitable when flow is involved. A person with Autotelic Personality is willing to learn about its limits. - A disposition to actively seek and create optimal challenges. A person with Autotelic Personality will experience more Flow than other personalities. They are more likely to show higher self-esteem and lower anxiety. They make better use of coping strategies, more frequently, and use passive coping strategies, less frequent, compared to the less autotelic people. They are more likely to report active commitments to their lives and enjoy everyday general activities. Autotelic people report a greater sense of fulfillment and a greater sense of satisfaction in their lives. They lead a fulfilling life, despite low social status or financial rewards. They apply self-actualization, meaning they have a clear advantage in realizing the development of their talents to the fullest extent. They have the most positive view of their lives. They lead more harmonious lives than the less autotelic people. They need few material possessions and little entertainment, luxury and power of fame because so much of what they do is already rewarding. They possess the ability to detect and utilize a challenge-skill balance when they encounter it. Flow State graph. They have a greater ability to manage the complex balance between the play of finding the challenge and the work of building the skill. They most likely outperform non-autotelic people. They have better interpersonal relationships and greater general well-being than extrinsically motivated people. 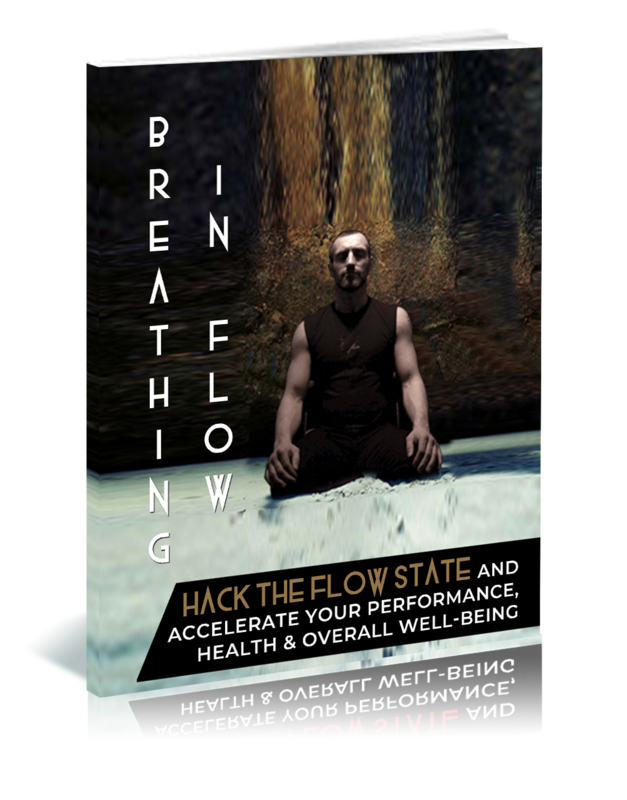 They are able to enter the Flow State even while doing things that many people consider boring or either risky. They experience a deep sense of purpose because so much of what they do is intrinsically rewarding, they live a fully immersed life. Setting Goals – To experience flow, you need to have clear goals to strive for. This includes massive lifelong goals to smaller goals, such as figuring out what to do this afternoon. An autotelic personality can make decisions with a minimum of extra effort allowing her/him to focus her/his energy on obtaining that goal. Becoming Immersed in the Activity – Whatever field you are in; Sports, Work, Business, etc., you need to become immersed in your task. A person with autotelic personality will give all of his/her attention directly to the task at hand. Being in control of your own attention is one of the most powerful skills a person can develop. A wandering or constantly distracted mind can cause your attention to spread and dilute. Learning to Enjoy Immediate Experience – Our bodies and minds have absurd capabilities of enjoyment. Gaining full control over your mind opens an individual to experience almost anything and derive joy. Every taste, smell, sound, thought, and observation can be the anchor of immediate enjoyment if we take the time, focus, and effort to experience it. I understand deeply, the benefits in training myself to become more autotelic through the Flow State. Personally, I found my flow while I teach everyday people how to become more autotelic and find happiness through flow. I want to let everyone know what the essence of the flow state is in our lives. (It may be just hiding from you just now). The better we get at triggering this state, the less we require outside forces to create enjoyment in our lives. If we can derive enjoyment from the simplest of activities, why do we need to spend a lot of money on useless crap and broken promises?